Coming just two weeks before the April 9 election, the multitude of calls from across the political spectrum for a harsh response to Monday morning’s rocket fire from Gaza echoed similar demands made by politicians in the run-up to both the 2009 and 2013 national ballots. 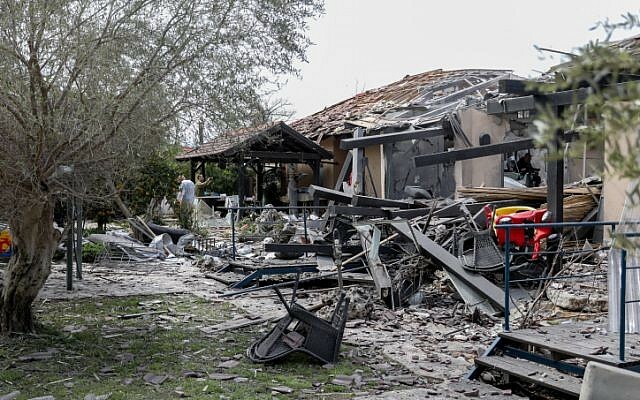 Weeks before both those elections, an escalation in rocket fire from the Strip, and possibly the appeals for a strong retaliation, spurred Israel’s government to launch major military operations targeting the Hamas terror group which controls the territory. The Cast Lead and Pillar of Defense operations (or the 2008-9 Gaza War and 2012 Gaza War), as they became known, were met with calls to postpone the nationwide vote for fear that fighting would continue past election day. Cast Lead and Pillar of Defense both ended up concluding with ample time to hold the ballots without delay. The latest escalation, however, coming with just 15 days left until Israelis are set to fulfill their democratic right, could pose a very real chance of what the British call a khaki election wartime vote, even if some lawmakers would want to put it off. 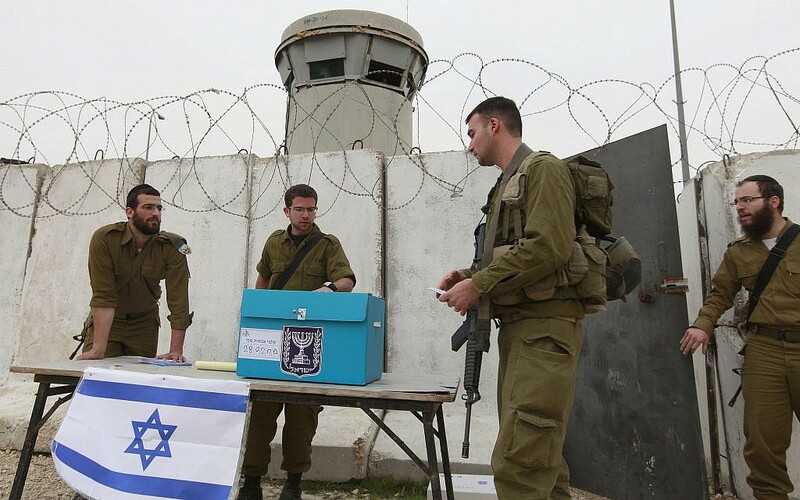 With Israel having seen an unusually high number of both military operations and elections in its 71-year history, it’s perhaps not surprising that the national ballot has fallen during a war, and been postponed because of it, on more than one occasion. In fact, Israel’s first ever election was postponed due to the 1948 War of Independence. “We may be unable to fulfill all our democratic obligations and we will be compelled to disregard some of them because of the great urgency of winning the war for our existence and national freedom,” Israel’s first prime minister David Ben-Gurion said days before declaring independence for the new State of Israel. Despite the Declaration of Independence stating that elections were to be held by October 1948, five months after Independence Day, the vote was delayed until January 1949 as the war drew to a close. With no Knesset in place before then, or indeed any Israeli legislation, the process of delaying the election was relatively easy and required only a vote in the provisional government. 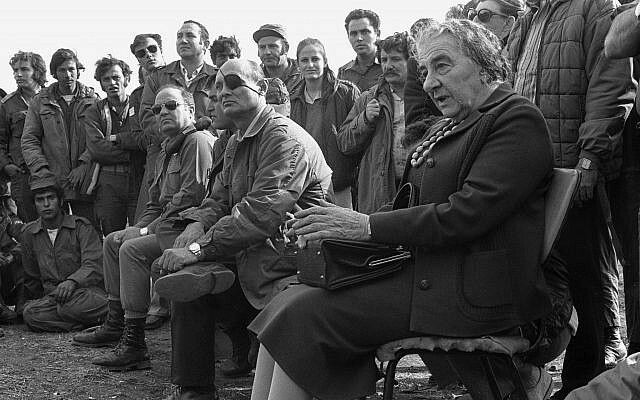 By 1973, when the Yom Kippur War broke out just 24 days before the scheduled election of that year, the process had become significantly more difficult. According to the Basic Law: The Knesset, passed in 1958, the government’s term in office could not be extended beyond the four years that had passed since the previous election. But with the joint attack by Egyptian and Syrian forces taking Israel by surprise on October 6 and unprecedented early losses hitting the IDF forces in the first days of the war, Knesset members passed a “special law” to postpone the vote three months, from October 30 to December 31. The legislation was criticized by some as a harsh blow to Israel’s democratic process; in any case it specifically related to the 1973 election and did not provide provision for future postponements during war or military operations. It wasn’t until nearly twenty years later in 1992 when an amendment to the Basic Law: The Knesset set the first clear parameters for extending a government’s term in the case of “special circumstances.” According to the legislation, postponing an election beyond the final possible date (which could be up to five years after the previous vote in some cases) now requires a super-majority of at least 80 Knesset members out of 120. Asked in both 2009 and in 2013 about the possibility of postponing the elections due to the military operations in Gaza, the Knesset legal adviser Eyal Yinon ruled that even in a case where the election had originally been brought forward by a Knesset vote, such as is the case this year, 80 MKs would still be needed to push it off. Yinon’s ruling, which he said was necessary “to avoid compromising the democratic principle of holding general elections at predetermined regular intervals,” poses a significant challenge to those, like Dichter, who may want to push off the April 9 election date. The move would require not only an emergency recess session to be called, but the support of MKs well beyond the coalition’s paper-thin 61 seat majority — an unlikely prospect. The Central Elections Committee spokesperson, Giroa Pordes, said Monday that based on the law, postponing the election would be almost impossible. “It could be done, but probably only in theory.” he said. According to the Israel Democracy Institute’s Dr. Dana Blander at the time of 2012’s Pillar of Defense, such a decision could have deep and potentially devastating consequences for some of the various parties vying for the public’s support. “The war may have far-reaching political consequences, as it may strengthen some candidates and weaken others, and could impact the choices of the voters. In addition, war results in a suspension of day-to-day politics and of the electoral campaigns of the parties. This limits the public and political discourse that usually takes place before the elections and may change the nature of the elections. Instead of focusing on domestic issues and on a social-economic agenda, public discourse is being overshadowed by the security issue,” Blander wrote in a 2012 article on the possibility of postponing the election a few months later.